King William IV is a lovely outlet that will be providing the World Cup games as of June; also there is a quiz night every Wednesday and occasionally live bands will perform. 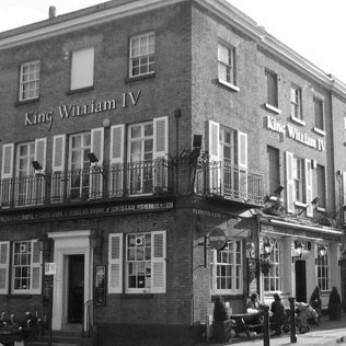 King William IV has been at the heart of Hampstead village for over 200 years. Situated right on the High Street, a stone's throw away from Hampstead Heath. The Willie, as it's known by the locals, has flourished into a Mecca for anyone looking for a quick drink and a bite to eat or spending the evening with your friends. With its home away from home feel, it's perfect for Sunday lunch with the papers or even a drink after work. There's also our beer garden that seats up to 50 people and also we can cater for various events. Bookings are strongly recommended on Saturdays and especially Sundays due to high demand.